Founded in 1808 under the First Empire, the Brun de Vian-Tiran factory has succeeded in maintaining the excellence of its fabrics through two centuries by encouraging our employees’ preservation of skilled know-how and their high levels of care and attention. Such constant efforts can only be obtained with a company culture of well-being and job satisfaction. 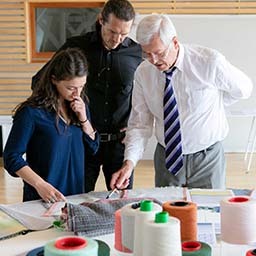 There are almost equal numbers of men and women among our employees, representing 45 textile-related positions maintained here in France. On average, the men have been with us for 19 years, while the average is 14 years for the women. Many among them have had, or currently have, family members working in the factory, and for some this goes back four generations. All have been trained by their predecessors, the “old hands”. This insistence on total attention and care applies to each of the fifteen manufacturing steps we carry out: blending, carding, spinning, weaving, burling… our Factory has thus earned its Living Heritage Enterprise title (Entreprise du Patrimoine Vivant, in French). The Factory has established long-term relationships throughout our entire supply chain, always based on confidence. 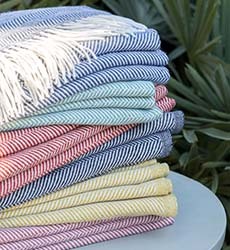 We have worked with the same boutiques and major stores for the distribution of our fabrics for decades, and are sure of the knowledgeable advice they will give their – and our - customers. Upstream from production, our unceasing quest for noble fibres is entrusted to partners we have worked with for many years and who are present year-round alongside animal breeders throughout the world. This demanding approach and attention are applied right from the sources of our materials, to the point where the Factory’s managers are involved with animal breeders in “Excellence” collaborations. With the help of a wool merchant friend, Claude Gutapfel, Pierre Brun, our seventh generation, rediscovered the Mérinos d’Arles Antique® which grows the finest wool in Europe. He has worked with the sheep breeders to rebuild flocks now totalling 25,000 animals. The local sheep industry here in the South of France has been transformed and given considerable added value. Jean-Louis Brun, the eighth generation, together with NGOs involved in preserving species and in the fight against desertification, is working on methods of breeding, sheering, and fleece sorting with a community of camel breeders in the Gobi Desert. The goal they share is to add value to the breeders’ efforts in order to obtain the finest camel wool possible. Another shared passion is the transfer of skills to the next generation. Our Factory works in partnership with the Ecole Nationale Supérieure de Création Industrielle, France’s top industrial design school, enabling talented youngsters to produce their creations in the form of capsule-collections. Apprentices are constantly being trained within our teams, and our training tax is paid to the local Isle-sur-la-Sorgue technical high school, to the Compagnons du Devoir for apprenticeship programmes, and to the Ecole Nationale Supérieure de Création Industrielle. Brun de Vian-Tiran is an active participant in the region’s activities. With the opening of our Noble Fibre Sensorial Museum in 2018, the Factory has become a major player in local tourism. 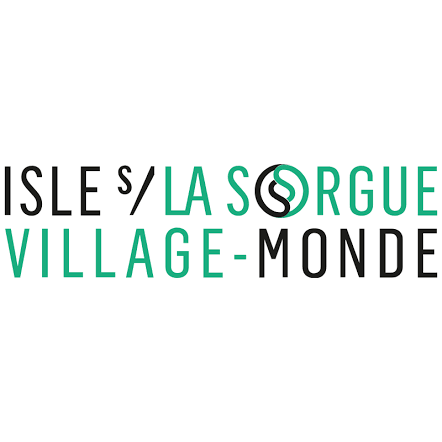 Furthermore, our managers are involved in Isle-sur-la-Sorgue’s territorial attraction mission, called “Village-monde”, or Village-World. They hold the co-presidency for this programme which was unanimously approved by all the local elected representatives from the majority and from the opposition, and launched in 2017. In this town whose reputation is synonymous with nature, with well-being, and with a great lifestyle, the Factory is committed to a vast project which includes giving added value to the town centre’s heritage, as well as its artistic and commercial activities. There is also a project for an ecological neighbourhood, for a public interest foundation, and more…fostering an economy which is positive, responsible, and which cares for the well-being of the citizens of today and tomorrow. 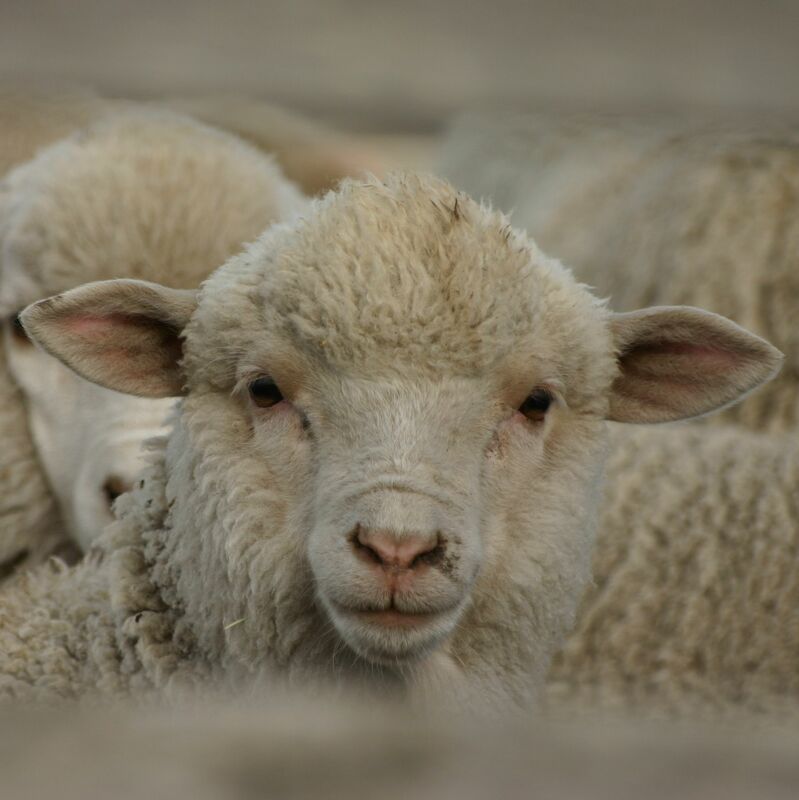 Having kept our entire wool fibre transformation procedure in France, we are also able to carry out specialized manufacturing services for a number of small-scale French animal breeders and factories located outside our area, thus enabling them to market their products. A respect for nature is at the heart of our activity, and has been a Brun family tradition for eight generations. 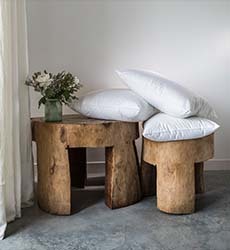 We only work with natural fibres in our workshops, knowing that beyond their known value in the fight against allergies, these raw materials are also the best-adapted to contributing healthy well-being and comfort. Going even further, the Factory makes use of products which are in conformity with the criteria for the Oeko-Tex label, and part of our production has already received this official label. The very small amounts of water taken from the Sorgue River or released into it from the process have so little impact, both in quantity and in type, that they are well under the local anti-pollution tax threshold. Our two hundred year old Factory, proudly producing fabrics which promise you well-being and comfort, is more than ever committed to its role as a benevolent, responsible enterprise.